These Terms and Conditions are in effect at all times while you are using this website (www.registeracompany.co.nz). By using or paying for our services you agree to the terms outlined below. 'Register A Company' or 'the website' means Register A Company NZ Limited, an New Zealand registered company (1953567). 'Us' or 'we' means Register A Company. Provide a system for registering an New Zealand company. Provide general information about New Zealand company structures. That you can at anytime after your company is registered request further copies of your legal documentation (Certificate of Incorporation, Registers, Minutes, Constitution and more). Register A Company is not a law firm, nor does it provide legal advice. We do not advertise a Company being the correct or most suitable option for your specific circumstance. Seeking the advice of an accountant, lawyer, solicitor or similar professional adviser is the best course of action if you are concerned or confused about the appropriateness of the Company structure. There are certain legal obligations being a Director, Secretary and Member of a New Zealand company and that you will take steps to ensure you are familiar with these obligations before & after registering your company. 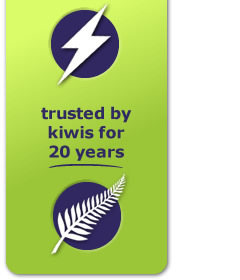 You completely understand and acknowledge that the function of this website is to incorporate a New Zealand company. You completely understand and acknowledge that you are aware of the function of this website and are satisfied that a proprietary limited company is the type of business structure you require. You acknowledge that the registration of your company may be delayed due to manual processing by the Companies Office and other factors outside of our control. Register A Company owns all proprietary and intellectual property rights in the web site and the software and other material underlying and forming part of the services and the web site. You agree not to adapt, reproduce, copy, store, distribute, print, display, perform, publish or create derivative works from any part of this web site. Register A Compay has no liability for any lack of performance, unavailability or failure of the services or the web site. We do not guarantee that use of our service will be virus and error free. Our fees are non-refundable except in certain circumstances when the company cannot be registered due to factors outside the control of the customer. In this event, the customer must apply in writing citing the details and explanation for the refund. Register A Company provides refunds at the sole discretion of management.